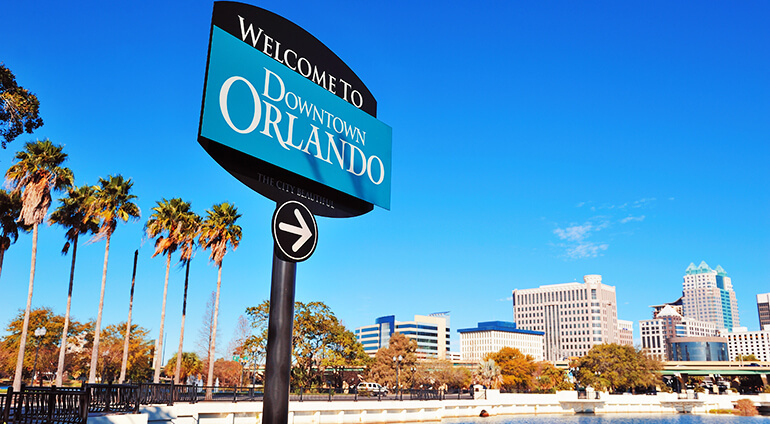 Orlando International airport is 6 miles southeast of the city, meaning it’s easy and relatively inexpensive to get a taxi from the terminal straight to your accommodation, or pick up a shuttle. If you are staying at Walt Disney World there’s a free airport shuttle as well as free transportation around the parks, which is great for anyone to planning to venture much further. For everyone else, it’s worth considering a hire car, or getting the number of a good local taxi firm. Orlando does have a good regional public bus system called LYNX, with fares costing $2 for a one way ride and if you’re staying on the main tourist drag of International Drive, you can take trips up and down it on the I-Drive bus, which visits all of its main outlet malls and hotels.